SpectorDance and the Monterey Bay Aquarium Research Institute have joined forces to create another exciting multimedia project, Ocean Trilogy. 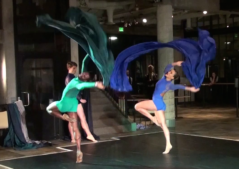 For this multidisciplinary performance piece, Artistic Director Fran Spector Atkins and media artist Bill Roden blended music, spoken word, and visual media with dance to highlight exciting innovative technology in cutting-edge ocean science research. The goal of this collaboration is to raise awareness and foster conversation about ocean health in an unexpected way. 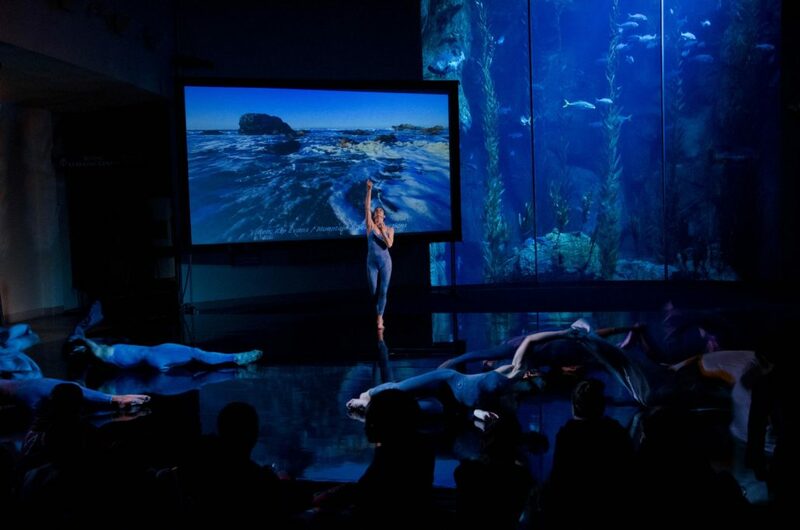 SpectorDance and MBARI’s first experiment bringing dance and science together was Oceans (performed in 2011-2013), which explored ocean issues such as ocean chemistry, storm patterns, extinction of species, and the food web. Interviews with marine scientists (including Jim Barry, Peter Brewer, and Alana Sherman from MBARI) were interspersed with video footage, music, and choreography by Spector Atkins. What resulted was a beautiful and unique way to inform audiences about ocean issues, and a call for the audience to consider ways to be part of the solution. With Ocean Trilogy, audiences will be treated to an equally impressive performance focusing on using the power of imagination to develop novel ocean research projects and innovative engineering technology to explore ocean health. Audio from interviews with MBARI and Monterey Bay Aquarium researchers on topics such as bioluminescence and conservation is layered over choreography to music by composer Philip Glass and then interspersed with poetry by rap artist Baba Brinkman. Learn more about Ocean Trilogy project.